A single board computer is essentially a complete computer mounted on a single circuit board. Often referred to as an SBC, a typical setup will include at least one microprocessor, memory, input/output features and storage. SBCs can come in a variety of different sizes, ranging from some that are as small as a credit card to others that might fit inside a gaming console or ATM machine. They're often integrated into larger devices for medical, industrial or robotic applications. In recent years, they have gained some degree of popularity among hobbyists and educators. In order to understand why the single board computer is so important in today's information age, it helps to know a thing or two about its history. The first ones date back to the 1970s, when the "Dyna-Micro," was created. It was later renamed the "Mini-Micro Designer 1" (MMD-1), by E&L Instruments. Others like the "Nascom" and the "Ferguson Big Board" were soon to follow, with some of them going on to play a big part in the development of the home computer. These early models were based on the processors that were available at the time, such as the Intel C8080A, a relatively simple 8-bit processor. The development of the modern PC led to a shift away from the single board computer, in favor of motherboards that required the use of smaller daughterboards, on which serial ports, disk drive controllers and other components could be mounted. Although SBCs have since lost much of their usefulness to the average PC user, their industrial and commercial applications have continued to expand. 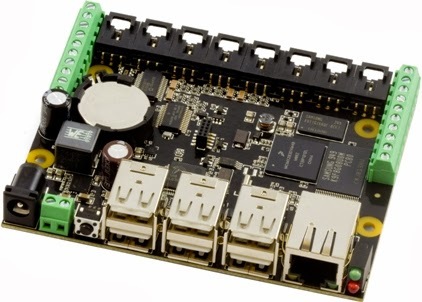 They offer a distinct advantage in that their single board configuration can significantly reduce the cost of any system in which they're incorporated. This is accomplished by eliminating unnecessary circuits, additional boards and all the necessary connectors that would ordinarily be required (Single-Board Computer (SBC) Hardware and Software Capabilities for Real-Time Processing). In many instances, issues surrounding reliability can actually be traced back to faulty connectors and as a result, many IT professionals also prefer working with SBCs. In terms of applications, single board computers are most often used in industrial situations, where they can either be placed in a rackmount format or embedded within larger devices for control and interfacing. Essentially, they're intended to form the backbone of a specialized computer system, which makes them particularly useful for tasks involving factory automation, CNC machining and telecommunication. SBCs have also become indispensable for aerospace applications, especially those involving satellites. Today's SBCs are based upon one of two distinct architectures: slot support or no slot support. Those offering no slot support are often found in gaming devices (video poker and slot machines), kiosks and machine controllers. Those that do offer slot support are used wherever extended I/O card connectivity is required, primarily because they're able to offer virtually unlimited slot configurations, but also because of their smaller size, weight and relatively low power consumption. SBCs offer several important advantages, not the least of which is that they provide the user with a customized and complete solution that's ready to use, straight out of the box. This can save lots of time that would otherwise be spent purchasing and assembling a multitude of separate components. It can also prevent many of the issues that can arise from having too many extra connectors and circuits. In short, a single board computer, like the ones offered by Kontron, can give the user everything they need, to their exact specifications, without any of the extras they don't need. Over the past several decades, technology has offered us countless solutions to improve the quality of our lives. Computers have undoubtedly revolutionized the way we live and given us capabilities that would have previously been out of our reach. The single board computer has played a vital role in our technological advances, helping to create more efficient and affordable products for people around the world. Mark Edson loves all things technology and computers. An avid blogger, you can read his articles on technology, B2B and other blog sites.